2014 Aprilia Dorsoduro 1200 ATC ABS. Picture credits - Aprilia. Submit more pictures. Explosively powerful, extremely agile and performance-focused, this exclusive twin-cylinder motard has been created to satisfy even the most discerning of riders who demand the best in a bike. A totally personalisable riding experience with triple-map ride by wire. Dorsoduro 1200 is also available with abs and atc-aprilia traction control. Price as new (MSRP): US$ 15499. Prices depend on country, taxes, accessories, etc. Comments: Two channel Continental ABS with Aprilia Traction Control. Integrated engine management system. Triple map Ride by Wire throttle management: Sport (S), Touring (T), Rain (R). 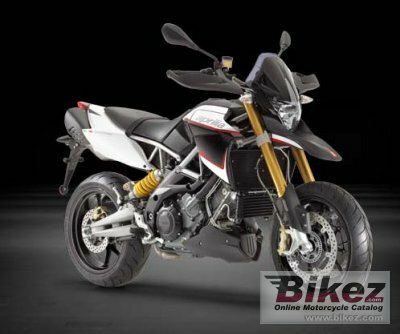 Ask questions Join the 14 Aprilia Dorsoduro 1200 ATC ABS discussion group or the general Aprilia discussion group.